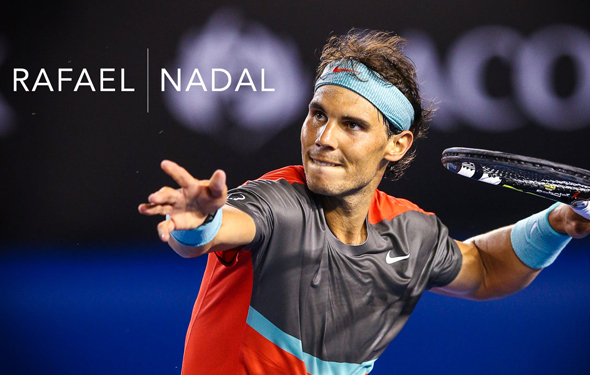 FROM THE AUSTRALIAN OPEN, Jan. 23 – Rafa Nadal has not lost a set over the past 10 days. The Spaniard hasn’t played for almost five months, he was injured, and when he came back at the Aussie Open, he was unsure how he would play. but, one way or another, he had to come on the court and just hit the ball. Right off the bat, he was aggressive, hitting deep with his big forehand and his twisting first serve. His crosscourt backhand improved a decent amount and the lefty can put it away at the net. He rarely misses it. The 17-time Grand Slam winner has a chance to win Melbourne. A decade ago, he won it, but after that, he did not grab it again. He really wants it though, badly. Nadal has to face Stefanos Tsitsipas in the semis. You know, the Greek who upset Roger Federer as well as beating Roberto Bautista Agut. The 20-year-old Tsitsipas is rising fast. “I think Roger in the second set was unlucky,” Nadal said. “A lot of breakpoints in key moments that probably if he takes one of them, one of that breakpoints, probably will be a big difference on that score. The top players have been playing for 15 years in the majors, and they have been winning forever. The current young guys looked pretty good, but they have yet to win it all at the Grand Slams. Can Tsitsipas beat Federer, Nadal and possibly Novak Djokovic to win it all? That would be unbelievable, but he has to get there first. How about the Czech Karoline Pliskova, who upset Serena Williams in three sets? She was down 1-5 in the third, but she did not want to quit, she kept going for her shots, she found her huge serves and she returned deep. After she turned her ankle on match point, Serena made more than a few errors, and all of a sudden, Pliskova jumped on the ball. Her eyes were very clear, she knew where she would go, flat and deep. She beat Serena 6-4, 4-6, 7-5. As Pliskova said, it was her best match ever. And for Serena: If she wants to win another Grand Slam, this year, she has to play a fair amount of tournaments. Here, she hadn’t played in four months. That is tough for anyone. Pliskova will face the rising Naomi Osaka, who smoked Elina Svitolia. Pliskova thinks she can out-think her, and to make her sweat. They are both huge hitters, and they can crush their serves. There won’t be too many rallies, but it will be a flashy, entertaining match..
American Danielle Collins is in the semis. She has improved a lot over the past year, a tremendous amount. She can move forward and try to put it away. Most times, in the past 11 days, she has. However, she has to face Petra Kvitova, who hasn’t lost a set. She is another Czech, she is directed, and she is very clean. You never know about her on court, but she will focus a lot. At least right now, Kvitova is better than Collins. Lucas Pouille hit the top 10 last March but watched his ranking plummet to 31. He wasn’t on anyone radar to do damage in Melbourne. Pouille’s sneaked through the first three rounds with little opposition. In the round of 16 he knocked off his first seeded player, sending Borna Coric to the showers in four sets. The big win wass over Milos Raonic, seeded 16. With the Canadian showing his old form, Raonic looked like a lock. But, Pouille exploded to grab the semifinal berth — his first ever in a Grand Slam — with a 7-6(4), 6-3, 6-7(2) 6-4 win. Next up is Novak Djokovic, who advanced when Kei Nishikori retired.